Himalayas travel, Nepalese cuisine, religious pilgrimage, exotic plants, and wildlife, a meaningful travel experience to find the true meaning of life! The Himalayas travel, life and pilgrimage, is a once in-a-life-time experience. Himalayas is a mountain stretched through Nepal, a neighboring country from the North to China, and from the South to India. Nepal’s mountains are enjoyed by China, India, Pakistan, and Bhutan. The meaning of Himalayas is Hima (snow) + alaya (dwelling), the Sanskrit word literally means “Adobe of the snow.” Himalayas is one of the tallest mountain range in the world. This area is one of the pristine and relatively untouched parts of the world. 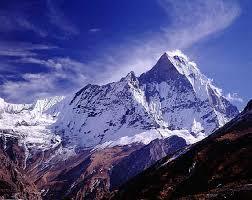 According to Wikipedia, “Himalayas is one of the highest mountain range on our planet. The collision of the Indian tectonic plate with the Eurasian Plate, created the Himalayan range, which runs northwest to southeast in a 2,400 kilometer (1,500 mile) long arc.” The highest mountain is Mount Everest. According to Worldwildlife.org, as of February 2015, “Nepal will host the first symposium focused on zero poaching.” The Eastern Himalayas is home to a large range of exotic plants, animals, and wildlife such as 10,000 types of plants, 300 mammals, 977 birds, 176 reptiles, 105 amphibians, and 269 freshwater fish. This part of the Eastern Himalayas is the only known area where Bengal Tigers and Snow Leopards share habitat. Nepal government works hard day and night to keep its wildlife unhampered. The Himalayas is also a focus of religious Pilgrimage for not only Hindus, but also other religions. The hike up the mountain range will change any man and woman to a better self-realization and respect to the world around them. The pristine mountain side, and fresh air, an area that has not been tampered by western civilization and technology, nature maintained itself, and will do so for centuries to come. Some might have a chance to vacation and enjoy the dense snow; others take pictures to capture the breath taking scenery. Other visitors depending on which part of the Himalayans they are visiting, might study the natural culinary style of the Nepal, Bhutan, India, or China. Life and longevity go hand-in-hand with the simple lifestyle that people live up in the highest mountain range. How have these people adapted, it is worth taking a look at. By covering a large variety of interesting Himalayans subjects all the way from: Geographic mountain range, natural beauty, wild life and exotic plants, religious pilgrimage, and natural culinary style of Nepal, I am truly intrigued to visit this most beautiful ancient part of our world. There are many travel agencies who would take on such a task, yet, the only local DFW area travel agency that I know who has flights to that part of the world is Riya Travel. I will put a request for them to consider some affordable travel packages to Nepal. We westerners are plagued with many illnesses all due to stress, and environmental culprits. We should truly consider visiting one month out of a year’s period, to distress and live a natural life, with no pesticides, noise, the constant technological stimulators, greed, and unhealthy foods. Only then, each of us will understand how to live a better life and teach our children how to appreciate life in its true meaning!